Just a Little Ink: It's almost like Christmas! Look what came in my mailbox yesterday. 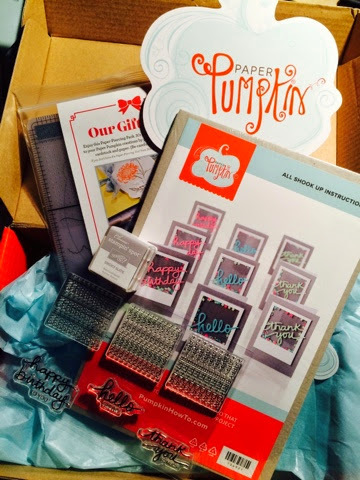 Another great stamping kit from My Paper Pumpkin. If you haven't subscribed yet, now is a great time to try it for yourself. And, it makes a great last minute Christmas gift too...just buy a pre-paid subscription (or ask for one for yourself). Questions? I'd be glad to answer them.